The presentation of this book was held on August 3 at the Auditorium Cesar Vallejo as part of the International Book Fair of Lima, where the author, the renowned chef and culinary researcher Gloria Hinostroza gave some details of the historical content that gathers this first luxury publication prepared by the Le Cordon Bleu University and edited by Grupo Planeta. During the event the journalist Raul Vargas, stressed the importance of the publication: “it seems that we are only talking about an anthropological work or Peruvian sociology, but on the contrary, it is at the same time a compilation of opinions on the contribution of the culinary to the Peruvian society, an authorized and sapient guide of socio-cultural phenomena and their immediate expression in gastronomy. It is not an easy task to select, as the author says, when it is about a great cuisine with more than 3 thousand dishes created thousand years before, the emblematic contributions in a previous collection as it is, but at the same time it is to enter in the domain of cultural exchanges, fortunate coincidences, that make easy to identify Peru as a source of gastronomic inspiration and sociocultural multiplicity. We are talking about a punctual and didactic guide to expand the gastronomic horizons of any home”, he remarked. This publication has been elaborated with the purpose of keeping alive the relationship between the cuisine and the history of Peru, this is why it gathers the techniques and traditional elaborations in the treatment of our original food and tells us how they mixed in harmoniously with the products arrived from Europe in the colonial period. 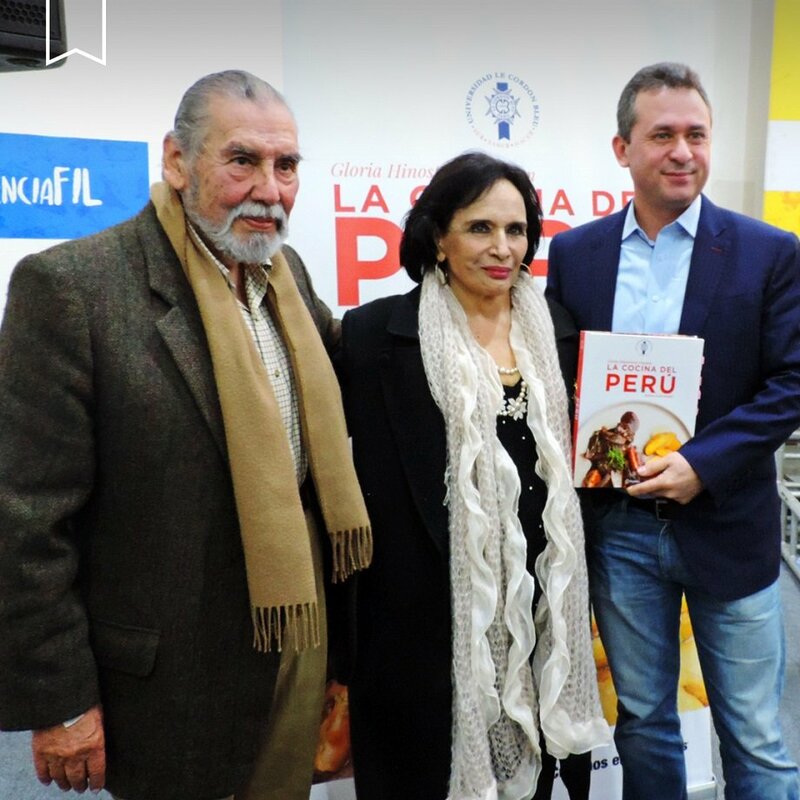 At present, the publication is being distributed by Grupo Planeta and can be found in the main bookstores in the country, do not miss the opportunity to have a copy of this first edition that brings together eighty traditional stories of Peruvian cuisine that were born in our pre-Hispanic past and that still keep their magical seasoning intact.